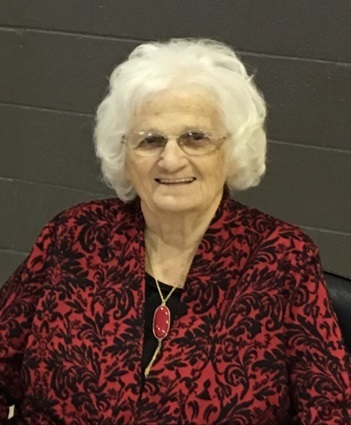 Anna Christine Tyree, 80 of Morgantown, Kentucky passed away Monday February 11, 2019 at her residence. Christine was born April 22, 1938 in Butler County, Kentucky to the late Nathaniel and Laura Webster Martin. She was a member of Union Missionary Baptist Church and enjoyed gardening, cooking and sewing. Christine loved baby sitting, spending time with her family and especially her grandchildren. Other than her parents she is preceded in death by one daughter Beverly Ann Tyree; grandson Dakota Tyree; 7 brothers George, Andrew, Estill, William "Bill", Milton "Tootie", Don and Henry Martin; 3 sisters Alberta "Birdie" Peay, Margaret "Dee" Fugate and Sue Fugate; sister and brother in law James and Mazell Tyree and two brother in laws Glyn Tyree and Beckham Martin. Anna Christine Tyree is survived by her husband of 62 years Willis Tyree of Morgantown, KY; three sons Rocky Tyree and wife Doris of Morgantown, KY, Wade Tyree and wife Vickie of Franklin, KY and Ronnie Tyree and wife Linda of Morgantown, KY; two daughters Angie Embry and husband Todd of Morgantown, KY and Anita Joiner and husband Allen of Beaver Dam, KY; sister Helen McKinney of Morgantown, KY; sister in laws Doris Martin of Morgantown, KY, Sue Givens husband Doug of Morgantown, KY, Betty Martin of Magnolia, KY and Marlene Tyree of Morgantown, KY; brother in law Charles Tyree and wife Shelia of Morgantown, KY; several grandchildren, great grandchildren, nieces and nephews; she had many adopted grandchildren she babysat through the years. She also had a special caregiver Amy Henderson.